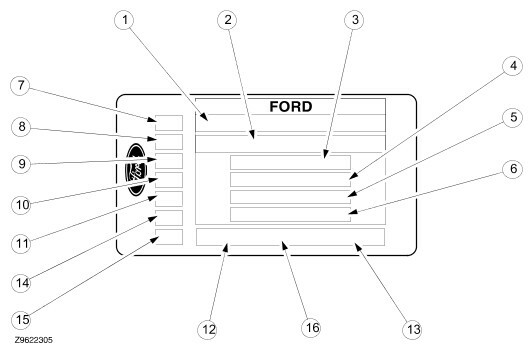 The vehicle identification plate is located on the lower part of the B‐pillar. The codes stamped on the plate during production enable precise details of the vehicle build specification to be established. The vehicle identification number (VIN) only may be checked through the front windshield or on the vehicle bulkhead. The vehicle identification plate codes are explained on the following pages. These codes indicate details of vehicle specifications in respect of type, permissible loading weights, engine, axle ratios, body paint colour, and trim details. These are therefore useful for part procurement purposes. 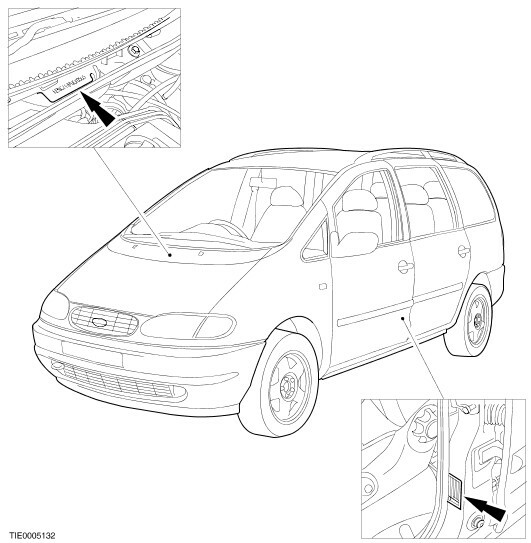 Indicates the maximum combined mass on vehicle and trailer or caravan. Maximum permissible loading on the front axle. Maximum permissible load on the rear axle. Provision for locally required codes by certain territories. For vehicles built in Continental plants, the second digit of the paint code denotes the original model year of that colour's introduction, i.e. '0' = colour introduction in 1990 model year. For vehicles built in UK plants, the second digit of the paint code denotes the current model year, i.e. `0' = built in 1990 model year. Provision for different vehicle variants.